This bed will give your bedroom an ethnic yet modern look. This David Queen bed has a simple aesthetic and represents both traditional and contemporary sophistication. It is made from rubber wood, which increases its life and the melamine finish brings out the classy look to it. It is engineered from the MDF wood, which makes it lighter, weighted than others. The beautifully crafted designs take you to a different era altogether. The upholstered headboard brings comfort and backs support and adds elegance to the bed. This bed has side storage options in the form of sliding drawers so that you don't have to lift up the mattress and hurt your back. This will also make your room clutter free as the drawers are of sufficiently large dimensions and you can stuff all your less frequently used things here. There are 2 drawers at either side of the bed. 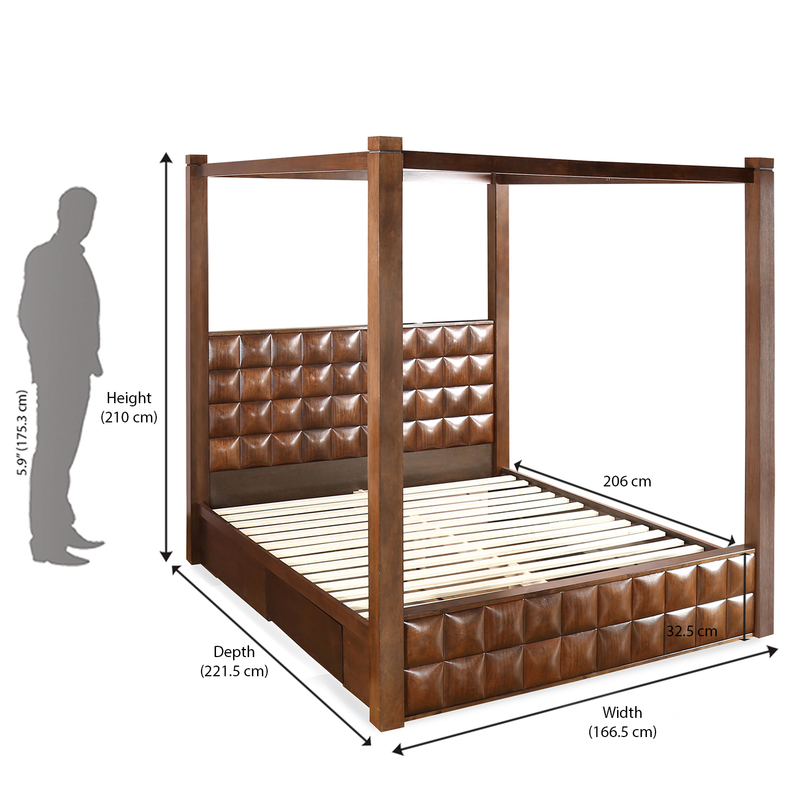 This bed is at a suitable height from the floor and is suitable for small sized rooms. The dark walnut colour of the bed goes with every type of bedroom design. Be it wallpapers, minimalist light coloured walls or fancy wall arts.